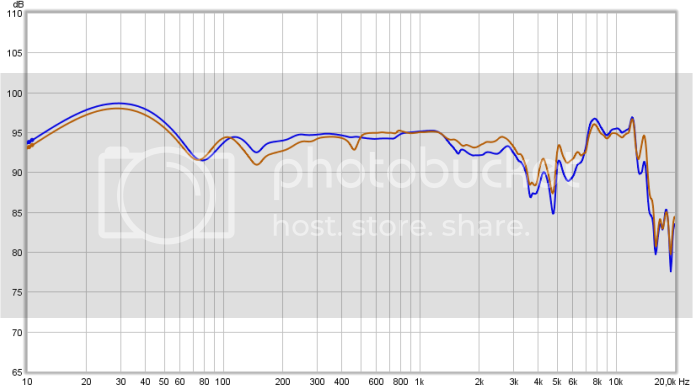 Measurements of the stock K551 below. It runs down VERY deep even down to 5Hz (did not measure lower). The highs are a bit 'off'. the upper mids/lower treble is lacking a bit resulting in a bit 'incomplete' sound when compared to headphones that do not have these issues. The dip around 5kHz is actually a resonance. Made a small filter that 'flattens' the lower mids/lows. I have to say I like this headphone a LOT now and seeing it is very close to the filtered T50RP and it doesn't need an amp to be driven well it is a great sounding headphone now. I figure the K550 can possibly benefit from the same mods. The second set of measurements show great improvement and I am greatly encouraged by your favourable comparison with the filtered T50RP which I know enjoy a great reputation with both you and Ian. Made a small filter that 'flattens' the lower mids/lows." can you provide me with a bit more information that will enable me to identify the two items of felt please and perhaps a schematic of the small 'flattening' filter that I can ask Sean to quote for? Frans, I use the mk2 HD681 filter to 'calm' the top. It might not be flat but I much prefer it to the K550 as it is. When I have finished modding and finalised it I will publish everything in a pdf. I use the felt disc from the HD681-EVO to tame the top... a perfect match. Because the dip around 5kHz is also a resonance the dampening action of the felt cures that too (ringing is shorter). An electronic filter just lowers the dip and doesn't work as well as it does for the HD681. The bass flattening filter consists of 1 capacitor and 1 resistor. Final values will be known when I have listened to it and measured it intensively. Actually, the Mk2 filter is good with it. I've been using it now since I got the Mk 3 to lower the bass on the HD681. The Mk 3 is too much for the K550 tbh, but the Mk 2 tames the treble while still leaving the extension. It makes into a much nicer headphone and yet the changes aren't massive; just enough to take that top sting down so that the K550 is my favourite closed headphone as long as I have that filter on!! I forgot to mention it to you Dave since I know that you're not keen on the K550. With the filter, it's a gorgeous headphone. I'm sure once Frans has 'flattened' it, it'll be even better. It's the best closed headphone I have for home use. I prefer it to the HD250 II as well. Having the top slightly tamer means that it focuses at a louder volume better and so the bass is warmed up quite a lot too as a result. It just blooms a bit more, which I really like. It would be interesting to see what that filter is doing to it Frans. It's a very pleasant sound. It took me a few days to make the article but here ( diyaudioheaven.wordpress.com/schematics/headphone/ ) it is. 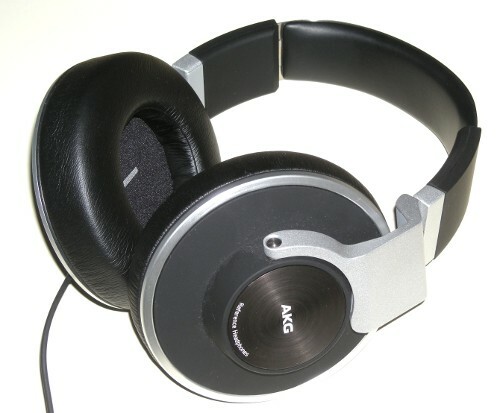 Scroll down to the 'AKG' section and click on the 'AKG K551 modifications' link. It may well be applicable to the K550 as well as they share a lot. Here's another funny 'mix and match' - the Mk3 filter with the Sony V6 works quite nicely. It takes the top edge and possibly shaves a little bass hump away at the same time!! Those filters are really useful Frans. They have a calming effect on many headphones in the treble!! Because not everyone is willing to buy and sacrifice a set HD681-EVO to salvage the felt discs, I have been looking for some alternatives. I found 2 mm thick acrylic felt and 3 mm thick wool-felt which both perform very similar (measurement- and sound-wise) to the EVO felt. The FR above is of a modified K551 so NOT just the felt discs but also internal damping and electronic filter components. I suspect this to work equally well for the K550 which is the same headphone but with a longer cord and no remote/mic. For our forum members I am offering a set of 2 handmade (so not nicely round !) felt discs for this mod. price (included shipping) will be a whopping € 2.- when paid with IBAN/BIC and when paid with PayPal € 2.40. Will be shipping to all countries. I will only have a limited amount of discs in stock and when out of stock might take a few days to buy felt in 'desired' colours. At this moment I have some black felt. PM me if interested and to see if I have any in stock. Another option is to look for 3mm thick wool-felt in craft shops. The material itself usually isn't very expensive. The ability to measure headphone response is such a bonus, Frans. That way, you know that it's closer to what you aim at rather than a guess job. I must admit that I'm less and less keen on modding without really knowing what it does since some of the mods that you see change one aspect but introduce another. (ie ringing) If you can't measure and therefore see what is going on, it's just an 'alternative' sound rather than 'better' imo. - Is it still possible to order the felt discs? - I must have done something wrong when soldering, because I can hear the left chanel on my right ear. Right chanel is only on the right ear. Do you have any hint for me? I still have felt left. 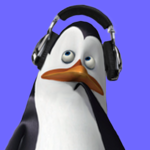 Just click on 'solderdude' above my avatar. Swap the L and R incoming wires, or when the plug can be opened just swap the ring and tip wires. OMG, thanks for your super fast answer. I checked the cables on the 3.5 jack port and changed ring with sleeve and now it works like a charm. I will contact you via PM for the felt.